An Edwards Air Force Base, Calif., F-16 sits at Naval Air Station Point Mugu, Calif., along with an AQM-37D supersonic target, Nov. 28, 2018. 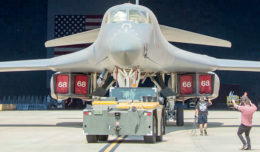 Two F-16s and maintenance Airmen from Edwards assisted the U.S. Navy and Royal Australian Navy with a test of a RAN ship’s combat system late last year. The Navy was assisting the RAN in testing the combat system on their newest guided missile destroyer, the HMAS Hobart (DDG 39). Due to a conflict in scheduling, the navies were left in need of F-16 Fighting Falcons that were certified to fire AQM-37D supersonic targets. Responding to the request for assistance, Edwards AFB sent two of its F-16s, a KC-135 Stratotanker and 412th Maintenance Squadron Airmen to Naval Air Station Point Mugu, Calif., during the last week of November. 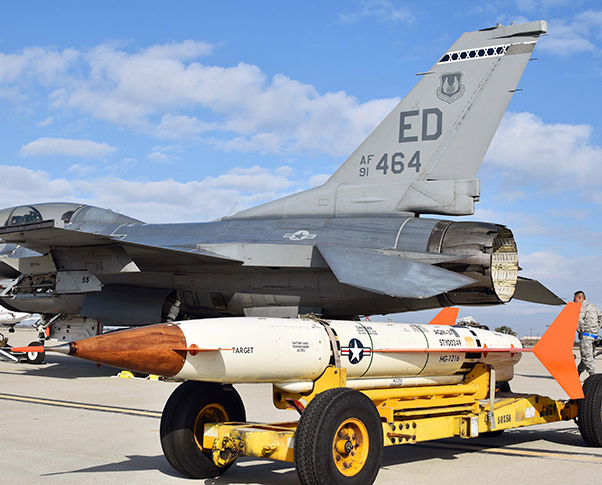 The maintainers teamed up with members of the Naval Air Warfare Center Weapons Division’s Threat/Targets Department at Point Mugu to inspect and load the AQM-37Ds on to the Edwards F-16s. 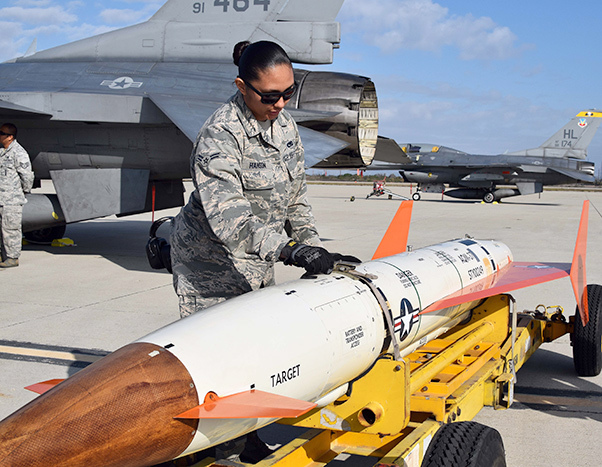 Airman 1st Class Cierra-Mae Hanson, 412th Maintenance Group, inspects an AQM-37D supersonic target before it is loaded on to an Edwards Air Force Base F-16 at Naval Air Station Point Mugu, Calif., Nov. 28, 2018. Two F-16s, a KC-135 Stratotanker, and maintenance Airmen from Edwards assisted the U.S. Navy and Royal Australian Navy with a test of a Royal Australian Navy ship’s combat system late last year. 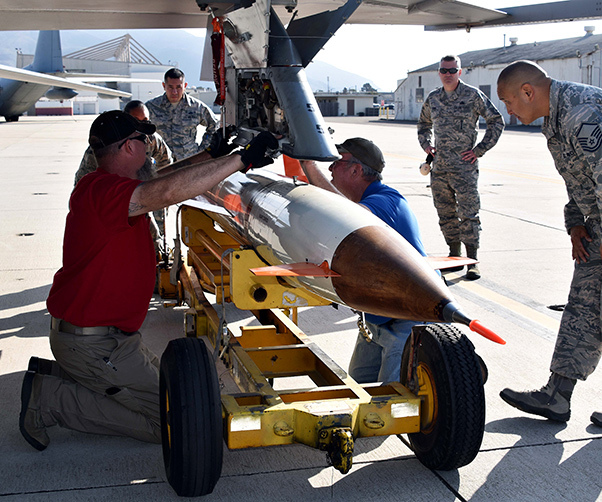 Airmen from the 412th Maintenance Group are assisted by members of the Naval Air Warfare Center Weapons Division’s Threat/Targets Department at Naval Air Station Point Mugu, Calif. 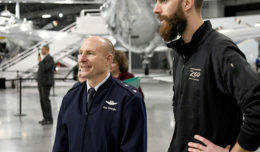 They are loading an AQM-37D supersonic target, Nov. 28, 2018. Two F-16s, a KC-135 Stratotanker, and maintenance Airmen from Edwards assisted the U.S. Navy and Royal Australian Navy with a test of a Royal Australian Navy ship’s combat system late last year. The Point Mugu team consisted of Lee Cobb, Tad Miller and Jeremy Gibson. Master Sgt. Jonathan Young (left) and Tech. Sgt. 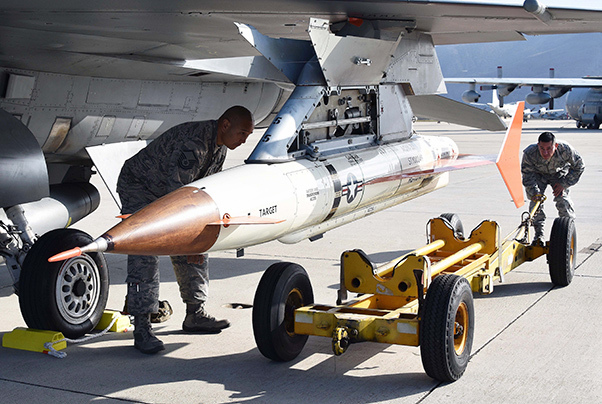 Jose Aripe, 412th Maintenance Group, inspect an AQM-37D supersonic target after it was loaded on to an Edwards Air Force Base F-16, Nov. 28, 2018. Two F-16s, a KC-135 Stratotanker, and maintenance Airmen from Edwards assisted the U.S. Navy and Royal Australian Navy with a test of a RAN ship’s combat system late last year.